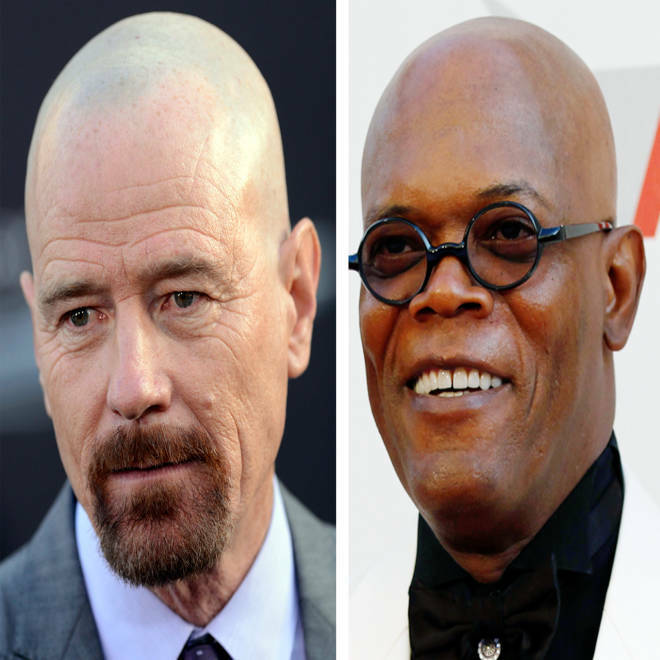 Hair we go again: Should Jason Alexander and other celebs embrace the bald? Like "The Beard" episode of "Seinfeld" come to life, Jason Alexander "was bald." Anyone who has caught a glimpse of the "Seinfeld" star lately would notice that the famously bald actor suddenly has some hair atop his head. 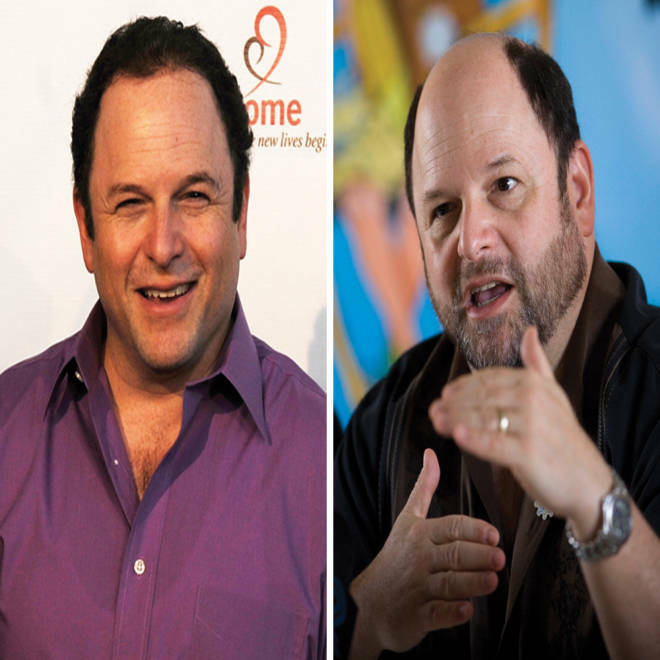 Actor Jason Alexander with hair in August, left, and in 2009, with less hair. Citing "castability," the practical fact that onstage and in some films his head had "become a big beacon, reflecting light in a very obvious and distracting way," and other personal reasons, Alexander revealed that he'd found a semi-permanent hairpiece that made him happy. And we're happy for him! It's likely that many people who go bald at 17, as Alexander says he did, probably would have sought out some hair solutions, too. But even so, it does beg the question: should he just embrace the bald? There's certainly no shortage of talent who have proven that hair does not an actor make. Not once did it seem like Terry O'Quinn might have played a better John Locke on "Lost" if only he had a more discernible hairline. Need some more proof that less is more? Take this scene with Ed Harris in "Gone Baby Gone" where he had some sort of hairpiece. I don't know about you, but I'm thinking "that's not Ed Harris' hair." His character and the whole scene would have been just as great without it. Another fine example of bald? Stanley Tucci. From "The Devil Wears Prada" to "Julie and Julia" his presence is not once diminished because he's lacking hair, his head in no way resembles a beacon. Think an action star has to have hair to be a hero? Tell that to Bruce Willis. It's "Die Harder." Not "Die Hairdo." And bad boy Brit Jason Statham doesn't need his hair blowing in the wind to be the "Transporter." It's true, we do have to give credit to Alexander for addressing the situation as he did, and not pretending that this whole thing isn't happening. And if he was really that miserable about the situation, it's great that this was a somewhat fixable problem. You can add hair, but making yourself shorter or taller than you are, for example, isn't really an option. In the meantime though, a message to the remaining bald actors: Just go with it. We love you just the way you are. What's your take on bald stars? Got a favorite? Tell us on Facebook!